Over the last few years, I contributed to a massive illustration branding project for Credit Karma. Over the course of the working relationship, I informed visual styles, assisted in writing the style guide, and built out numerous illustrations. I wrote about partnering with Ryan Putnam and our process here. Working with strategic goals set during our branding meetings, we put together three different Moodboards. Each of the three Moodboards exemplified different approaches to meeting these goals. We selected one of these Moodboards and moved forward with a stylistic direction that made use of chunky geometric shapes, bright colors, and occasional organic elements. Read more about this process here. 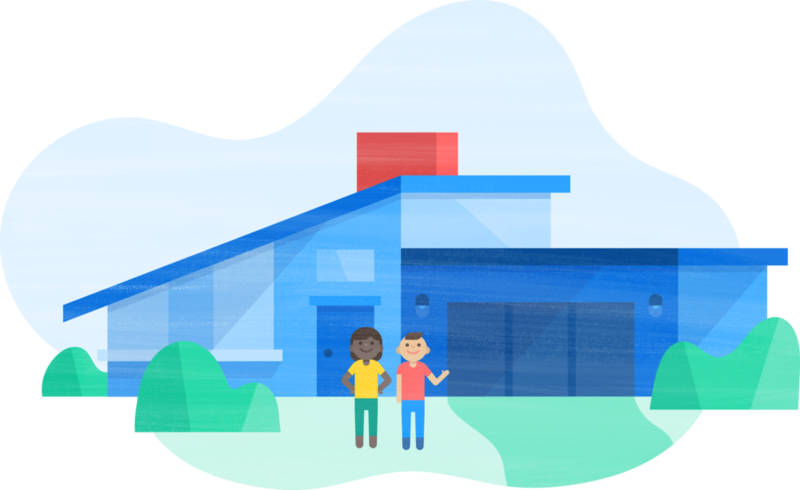 Along with a suite of illustrations, Credit Karma requested a "character guide" that made visible the reach of this visual style by exemplifying folks of different abilities, ages, body types, and races. With the style and proportions set by Ryan Putnam, I worked to show off how different types of outfits and hair styles could be shown. The guide is by no means an exhaustive resource, but a beginning point.